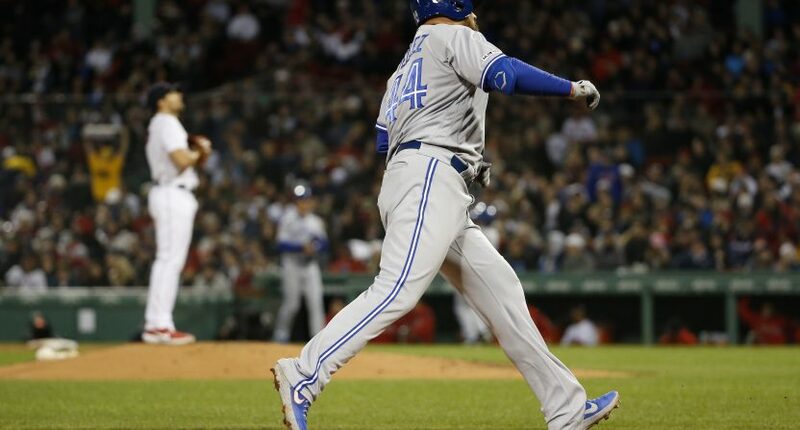 Toronto Blue Jays first baseman Rowdy Tellez hit a long home run in the third inning of Thursday night’s game against the Boston Red Sox. But the dinger probably didn’t go anywhere near as far as Statcast claims. Statcast estimated the home run distance at 505 feet. That would be a Fenway Park record. Certainly over 400 feet. But 505 feet? That seems like a bit of a stretch. The ESPN box score has it at an estimated 433 feet. Note that Statcast’s estimations go on batted ball data, and Tellez cranked the ball with a 115.2 mph exit velocity and 32-degree launch angle. But still… 505 feet? Nah. The Blue Jays’ Twitter account later had a great follow-up tweet on the estimated distance. UPDATE: We meant with the Canadian exchange rate.